Every year we try to come up with new Halloween inspired recipes that are simple yet surprising, and that you can enjoy preparing and of course, eating! 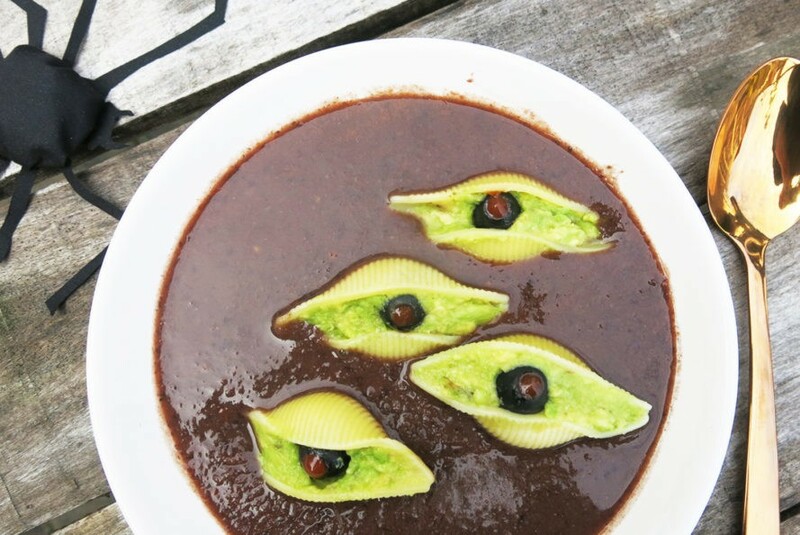 And this curious 'Black bean Halloween soup' will be a feast for the 'eyes' and a healthy protein and iron-filled meal. 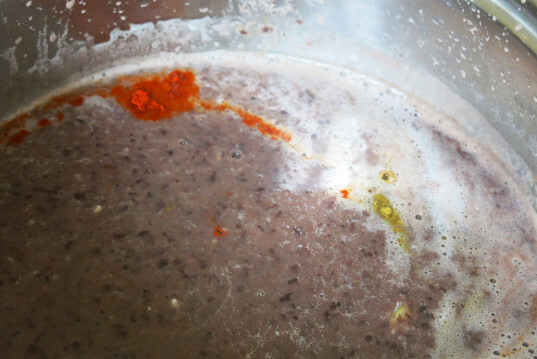 To make this spooky yet comforting meal we first made a black bean soup, added some onions, garlic, spices and tomatoes for extra 'bloodiness' and blended everything together. The most tricky, and fun, part of it comes with the making of the eyes. 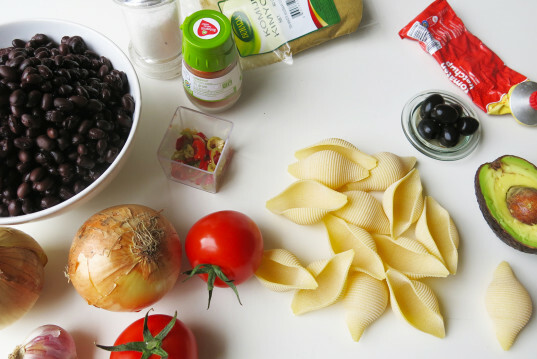 Which are made from big pasta shells and filled with a creamy avocado paste with a black olive as the iris, filled with tomato paste in a tub (you can also use ketchup). Once it’s all cooked you can serve first the soup and serve the eyes on the table, as they can quickly drown. They go surprisingly well with the rich flavors of the soup and will make a great Halloween starter that will creepily stare at you. 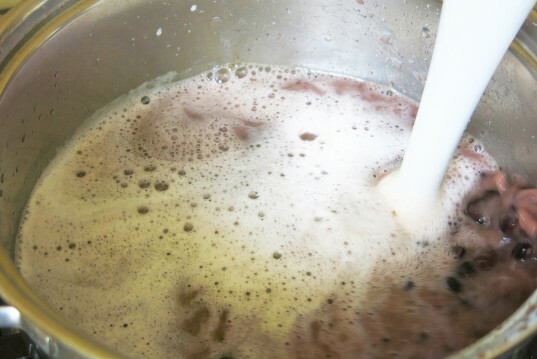 Wash the canned beans under water and rinse them (you can of course also use dry beans and cook them). Bring to a big ‘witch’ casserole with enough clean water to cover them. Blend. Bring to boil. Lower the temperature to medium heat (350°F). Stir. Chop the onions, tomatoes and garlic and bring them into the pan. Blend. Stir. Add a spoonful of cumin, and paprika or chili powder and some jalapeño peppers if you like it hot. Stir. Turn off the fire and close the casserole’s lid. 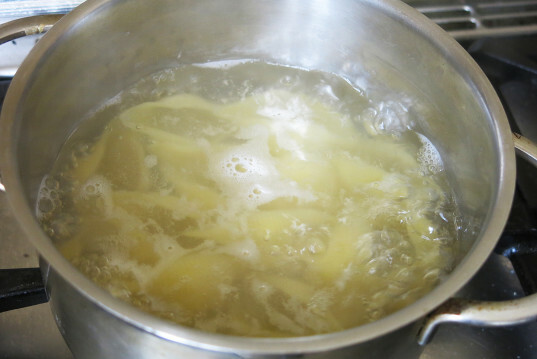 Cook the pasta shells al dente, so they stay firm enough to become eyes. Drain. 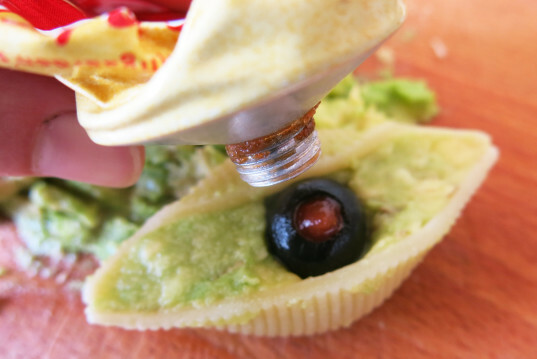 Leave the pasta shells to cool down and in the meantime, make an avocado mash and fill each shell with it. Add a black olive in the middle and fill with the tomato paste in a tub (you can also use ketchup). Serve, enjoy, creepy Halloween! 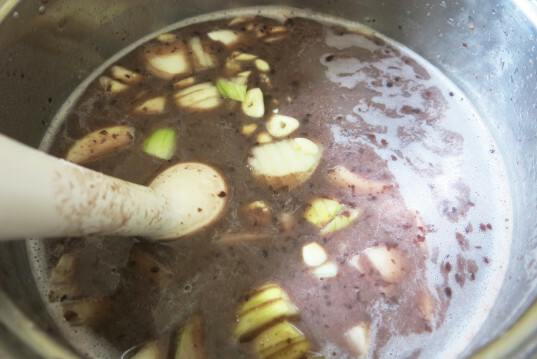 HOW TO: Make Halloween black bean witches' brew soup with floating "eyeballs"
Wash the canned beans under water and rinse them (you can of course also use dry beans and cook them). Bring to a big 'witch' casserole with enough clean water to cover them. Blend. Bring to boil. Lower the temperature to medium heat (350°F). Stir.